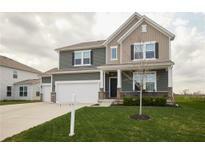 Below you can view all the homes for sale in the Eagles Nest subdivision located in Zionsville Indiana. 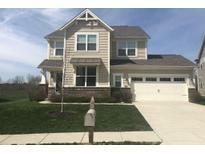 Listings in Eagles Nest are updated daily from data we receive from the Indianapolis multiple listing service. To learn more about any of these homes or to receive custom notifications when a new property is listed for sale in Eagles Nest, give us a call at 317-987-2530. All located in the ZVille School District and close to Anson. MLS#21635048. Keller Williams Zionsville. Fantastic neighborhood with pool and playground. MLS#21629983. CENTURY 21 Scheetz. 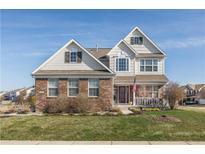 Eagles Nest is one Zionsville's most sought after neighborhoods close to I-65 and near all the growth at Anson! MLS#21626107. Keller Williams Zionsville. Unfinished Basement Has 9’ Walls And Is Plumbed For A Bathroom, Just Awaiting Your Finishing Touches. Don’t Miss This Rare Find! MLS#21622654. Keller Williams Indy Metro NE. Enjoy the amenities of Zionsville's famous 'The Village' with retail, eateries, and more! Award wining schools! MLS#21622100. Encore Sotheby's International. All this and Zionsville Schools! Come check it out! MLS#21614480. Keller Williams Indy Metro NE. Finished basement includes 4th bedroom with daylight window, full bath, and large Recreation room with wet bar. Move in ready! MLS#21593263. RE/MAX Centerstone.